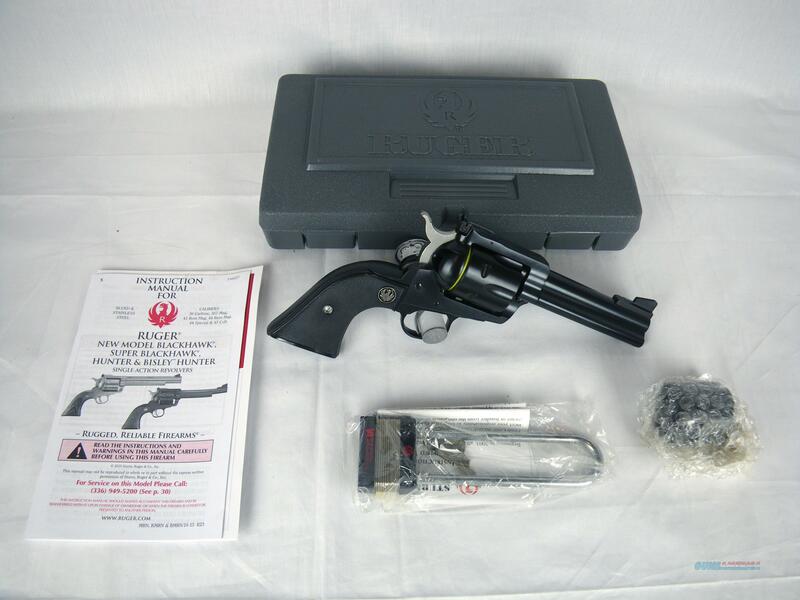 Description: You are bidding on a new Ruger Blackhawk New Model Convertible in 357 Mag/9mm Luger with a 4.62" barrel. This revolver has target-grade accuracy with ramp front and adjustable rear sights. The cold hammer-forged barrel results in ultra-precise rifling that provides exceptional accuracy, longevity and easy cleaning. It includes two cylinders that can be interchanged without the use of tools. Displayed images are stock photos. Any questions please feel free to ask (our phone number is in the additional information tab above).